About three days ago, Microsoft announced a very unusual deal for students on Office 2007. Starting on September 20th, Any student with a valid “.edu” e-mail address will have the opportunity to purchase Office Ultimate 2007 for just $60. Offer ends in April 2008. For those of you thinking this is probably just another cut down version such as Home & Student Edition ($100), which has only the basic for processing, spreadsheet, and presentation applications, WRONG! 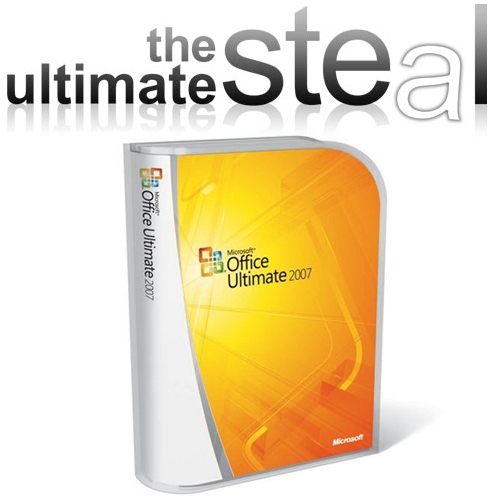 The downloadable Office Ulitmate 2007 includes Word, Excel, PowerPoint, Outlook, Access, Publisher, OneNote, Groove, and InfoPath! Although you probably won’t be using half those applications, we recommend going with this offer. If you wish to grab this offer it’s available on TheUlimateSteal.com. As for those of you who wish to use an alternative to avoid even the $60, we would recommend OpenOffice which includes just about all the programs you would ever need and is completely open source, therefore free. P.S. Don’t try lying to get this offer since Microsoft will charge the full $679 price if your student enrollment fails to validate! Is this deal still available for students. yes it is back! get it while it lasts!! !